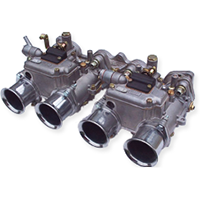 Part number: 12775.004 Categories: DCOE & DCO/SP parts, IDF parts. Tags: choke valve, DCOE, retaining bush, Weber. Genuine Weber spring retainer and guide for the choke valve to suit early italian type DCOEs. Note: NOT for later spanish type DCOEs.